MONDAY, April 4, 2016 (HealthDay News) -- Smoking increases the chances of early death in people with rheumatoid arthritis, but quitting smoking significantly reduces that risk, a new study suggests. 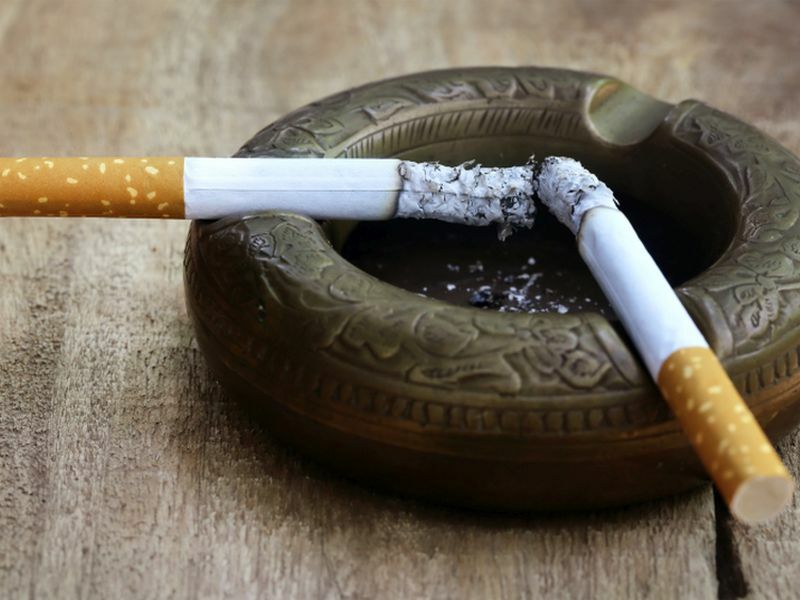 "This research provides important evidence that the risk of early death starts to decline in patients who stop smoking, and continues year on year," said researcher Deborah Symmons. She is a professor of rheumatology and musculoskeletal epidemiology at the University of Manchester in England. Symmons and her colleagues analyzed data from rheumatoid arthritis patients in the United Kingdom. The investigators found that the patients who smoked were nearly twice as likely to die prematurely as those who never smoked. The risk among former smokers was similar to that of those who never smoked, and fell for each additional year they no longer smoked, the researchers said. "We hope that this research can be used by public health professionals and rheumatologists to help more people quit smoking and reduce premature deaths, particularly for newly diagnosed patients with rheumatoid arthritis," Symmons added in a university news release. Previous research has shown that smoking plays a role in the development of rheumatoid arthritis, so the smoking rate among people with the disease is higher than in the general population, the researchers noted. People with rheumatoid arthritis also have an increased risk for death due to other health problems, such as heart disease, cancer, severe infection and respiratory diseases, the study team explained. According to Stephen Simpson, director of research and programs at Arthritis Research UK, "Rheumatoid arthritis is a debilitating and painful condition ... it can begin at any age and is unpredictable -- one day you can feel fine and the next day be confined to bed, unable to get up to dress, even go to the toilet unaided." The study was published online recently in the journal Arthritis Care and Research.